Go to Clean Pool & Spa Resources Page or HERE and get started today!! Easy Swimming Pool Care. 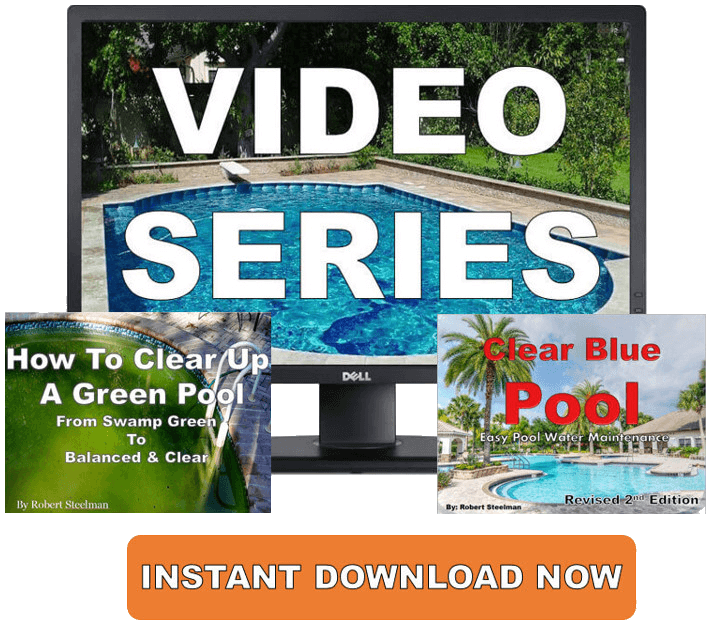 Answers About Pool Chemistry, Green Pool Water, & General Pool Care & Maintenance. If you have a specific chemical issue or have a water problem such as cloudiness or green algae, there are three eBooks and a complete 12 part video series for your consideration. My F.T.A. Process for clearing up pools is the best in the world. GO HERE to learn more. First is my eBook, How To Clear Up A Green Pool. This goes into tremendous detail and is a step-by-step guide on how to clear up your cloudy or green pool within a matter of days. It contains my exclusive F.T.A. Process on clearing up pools. Next is Clear Blue Pool. This covers all aspects of pool water and filter maintenance. And of course How To Clear Up A Cloudy Pool. This covers a multitude of the most common pool issues. Please take a couple of minutes to write out your detailed question so that I can give you the best answer. I'm more than willing to help, but I need information to give you the answer to your problem. Due to the high volume of questions I receive, I prefer to keep email questions to those that can be quickly answered with 1 email. For more in-depth questions I will refer you to my eBooks, phone consultations, and 12 part video series. Thank you.